Download the new research report to learn how your competitors will be spending their digital media budgets in 2016 and beyond. Without question, traditional online advertising as we know it is at a crossroads. Econsultancy interviewed over 350 senior North American marketers and media buyers across a vast array of industry verticals to find out how addressable media is allowing advertisers to know who they’re targeting across devices and channels for true 1:1 marketing. 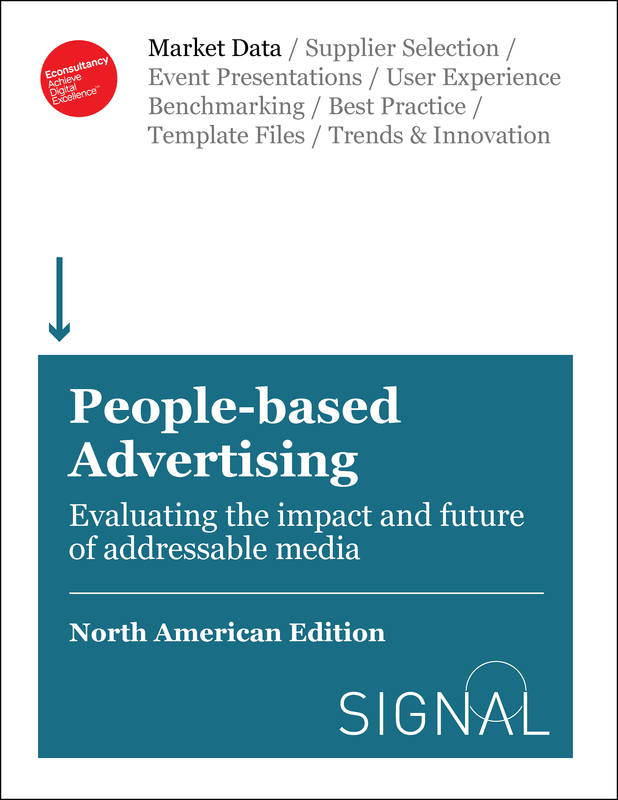 Download the first-ever independent report on people-based advertising and learn why advertisers are reporting superior outcomes and ROAS with addressable media. 7 in 10 North American advertisers are buying people-based ads. 83% of North American advertisers report that people-based ads outperform traditional digital media. 92% of North American media buyers are increasing people-based advertising buys this year.